The deadly spread of HIV/AIDS and other infectious diseases -- especially in Africa, where the strain on public health authorities is at breaking point -- underscores the critical need for an international regime of public health law. 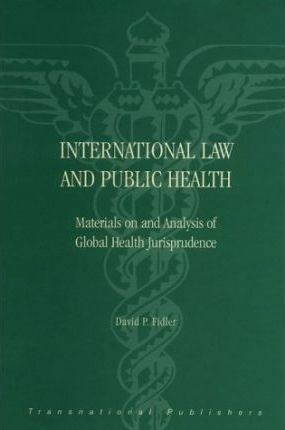 This book provides the first comprehensive presentation of the complex relationship between international law and public health, with primary materials on the entire spectrum of international legal issues that arise in connection with global public health. In support of the legal texts presented, the author analyses the political milieu in which international public health law must be approached, examining the actual and potential roles of the World Health Organisation and in influential international legal regimes of trade and human rights, as well as international environmental law, humanitarian law, and international labour law. Among the emerging issues discussed in the context of public health are genetic engineering and the global ageing crisis.